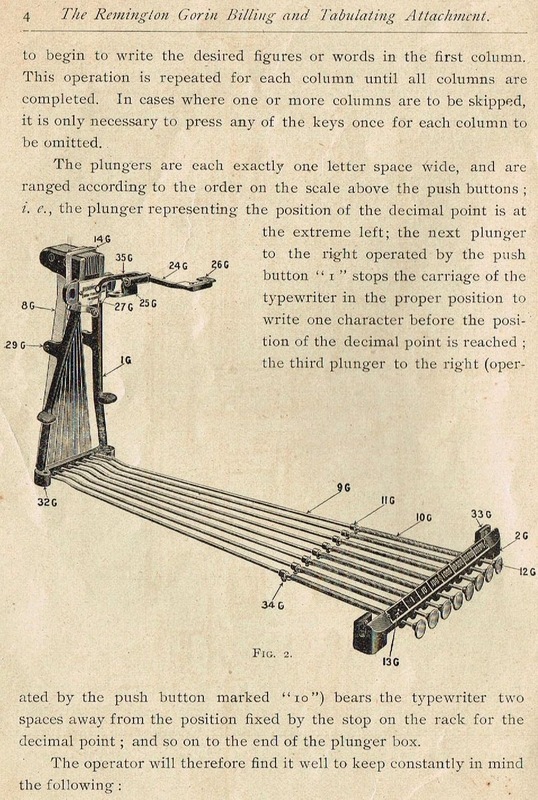 This device, outlawed in 1907, was also used on a New Century typewriter. 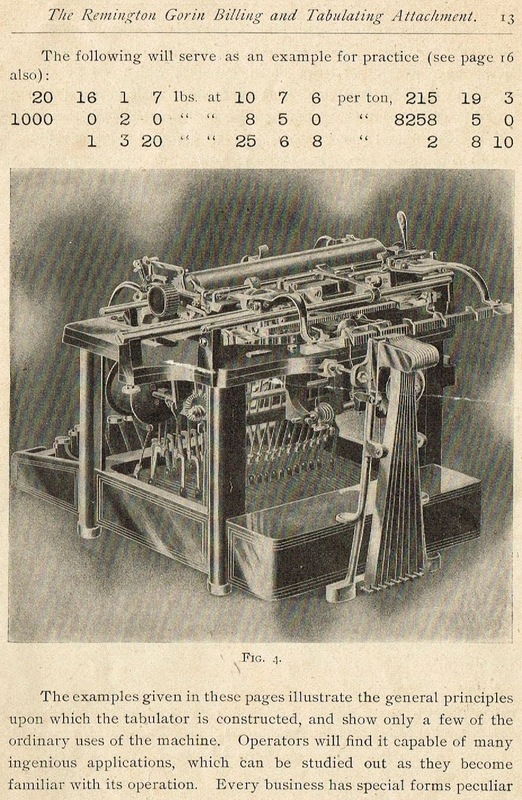 The full handbook for this New Century model can be seen here. 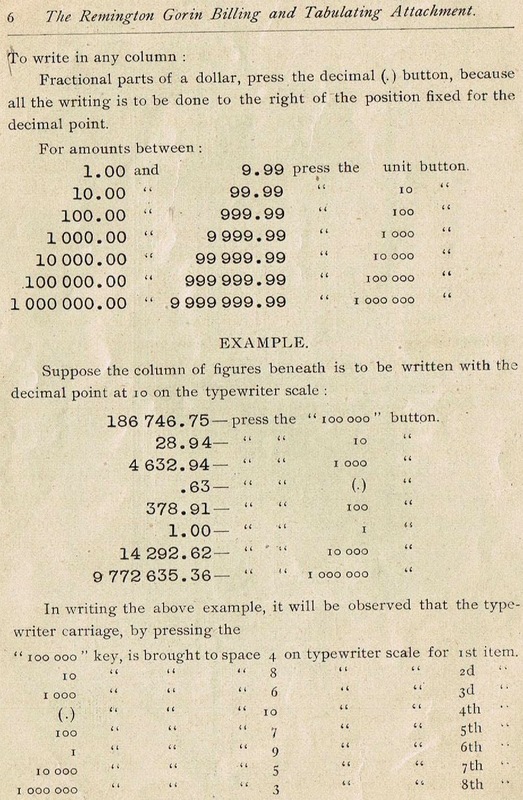 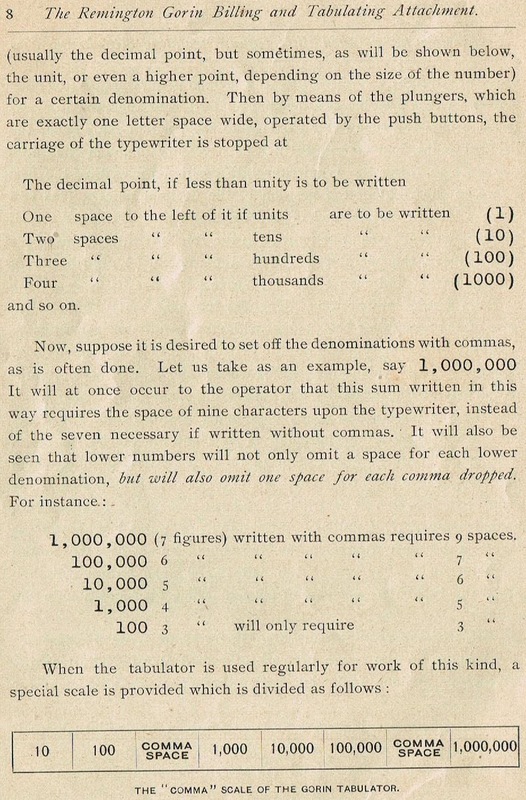 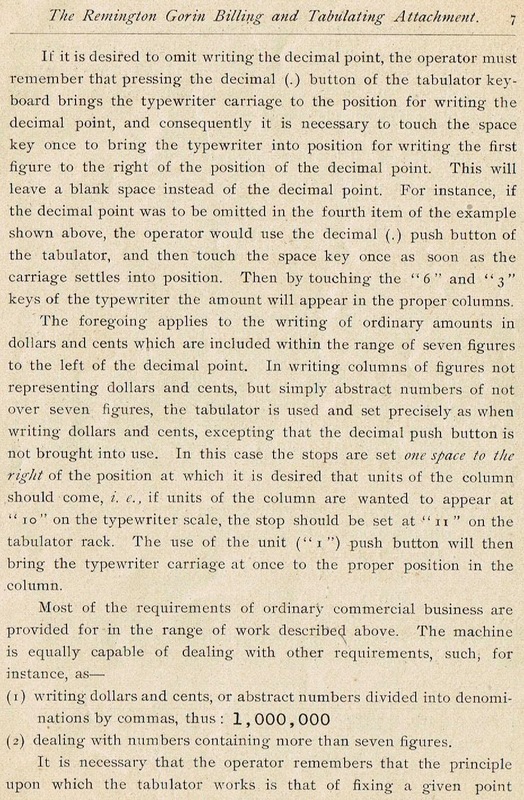 The following is from Charles Vonley Oden's Evolution of the Typewriter (1917). 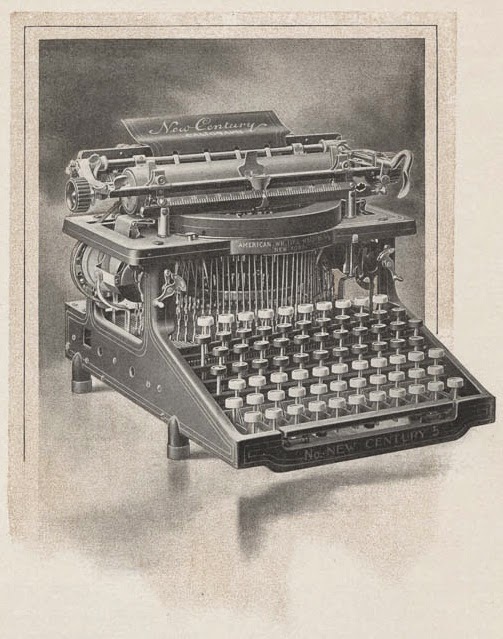 The typewriter, for typewriting in its simplest form, having been thoroughly established, inventors were making every effort possible to improve the machine and develop its practicability. 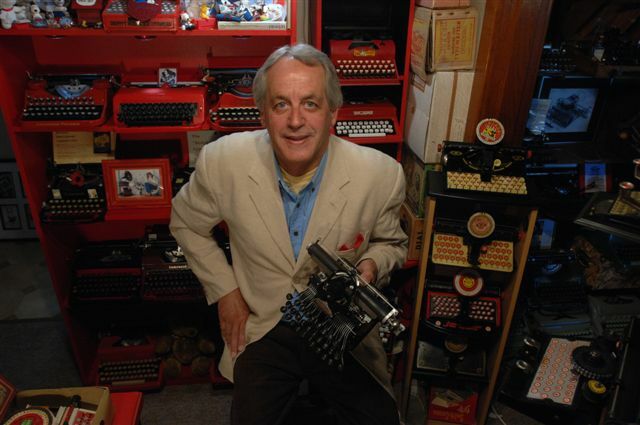 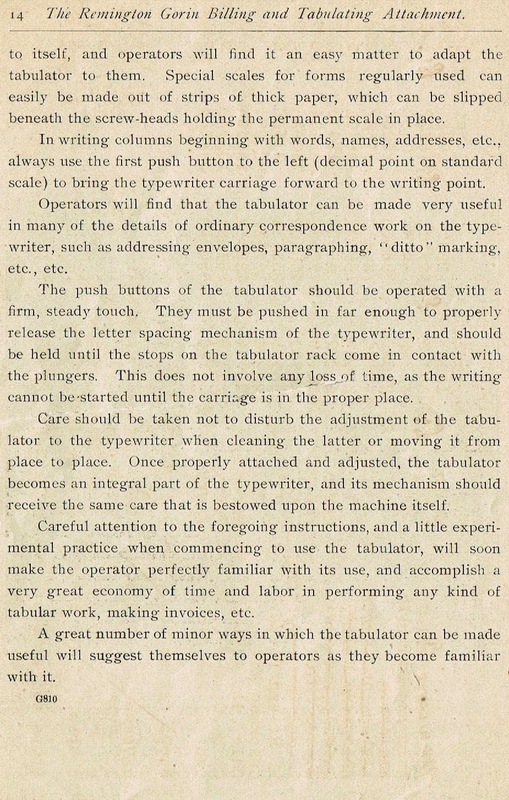 For example: The earlier typewriters were not practical for doing statement or form work; it was necessary to strike the space bar for each intervening space between various positions of writing on the same line, then lift the carriage and compare scales. 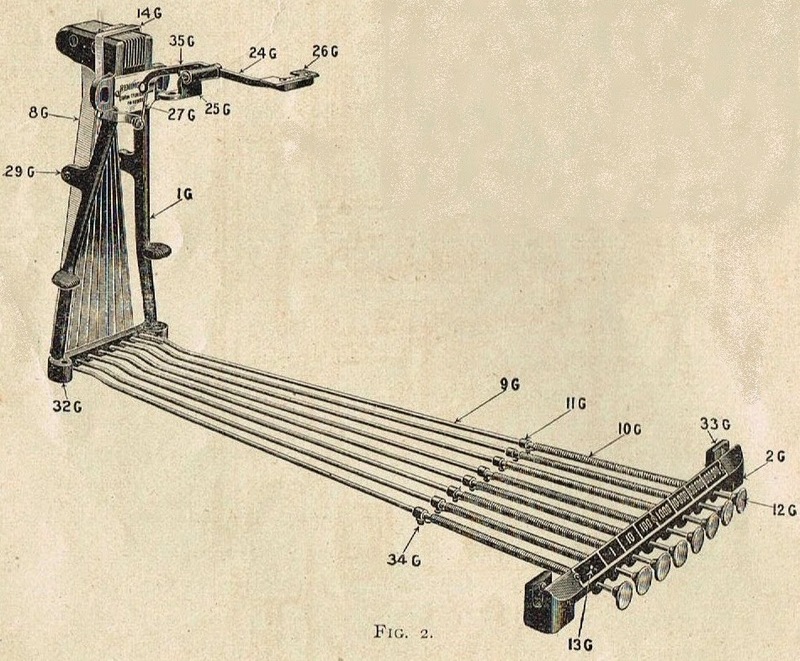 This was very necessary, and work of this character could not be done with any degree of facility and accuracy. 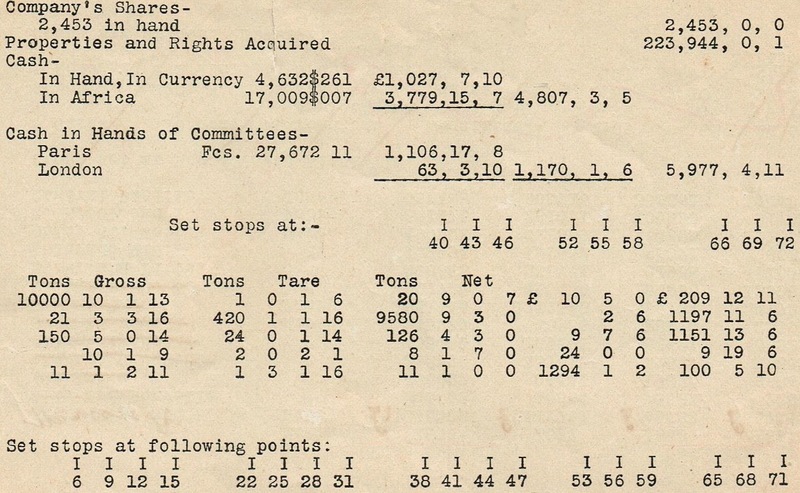 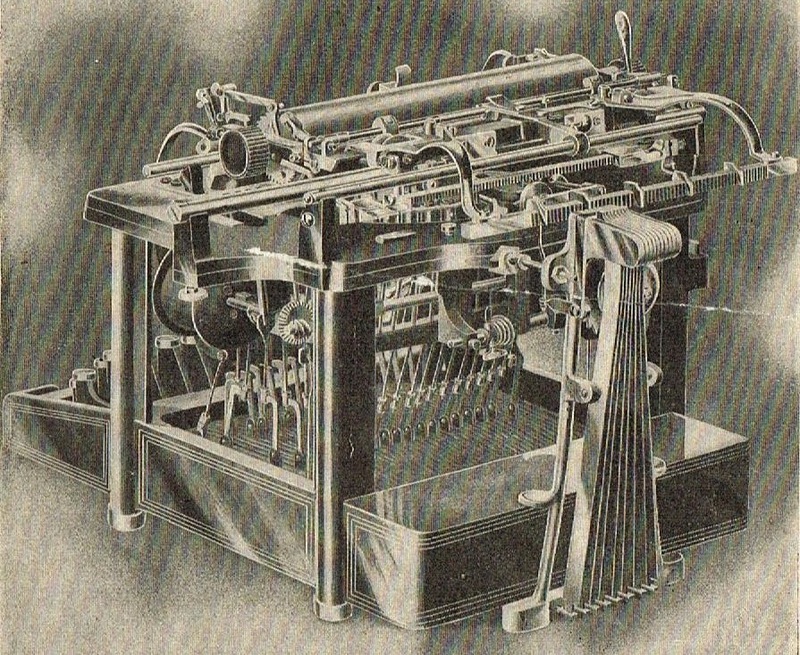 Many attempts of various kinds and classes were made to produce a tabulating device that would be practical, but among the many only two are entitled to recognition, all others embodying practically the same principle. 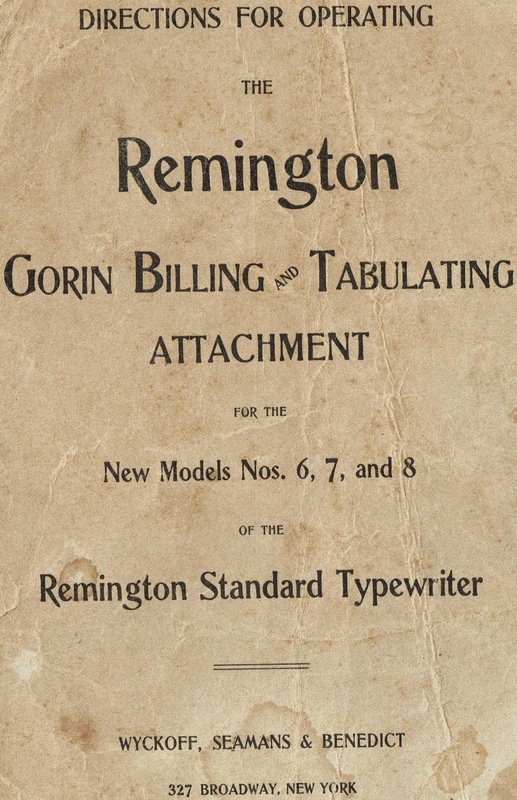 These are the Gathright and Gorin, the latter being an infringement on the former. 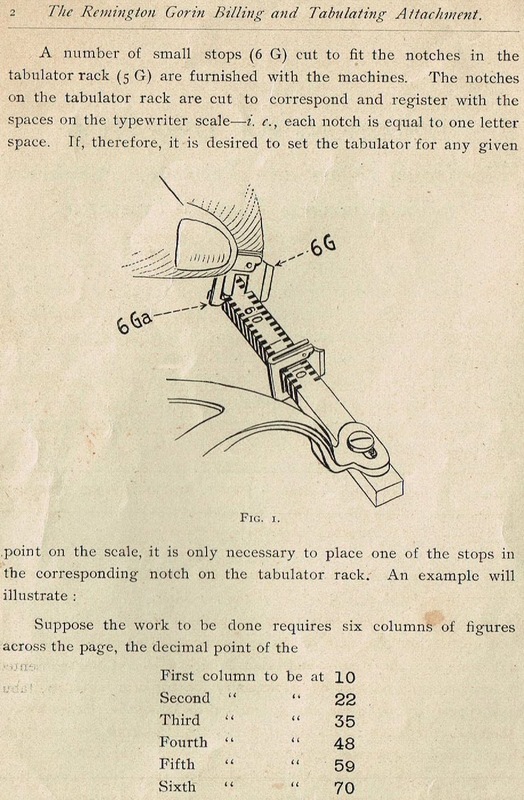 from the rack and permitted the carriage to pass to a fixed position, where its course was arrested by a stop. 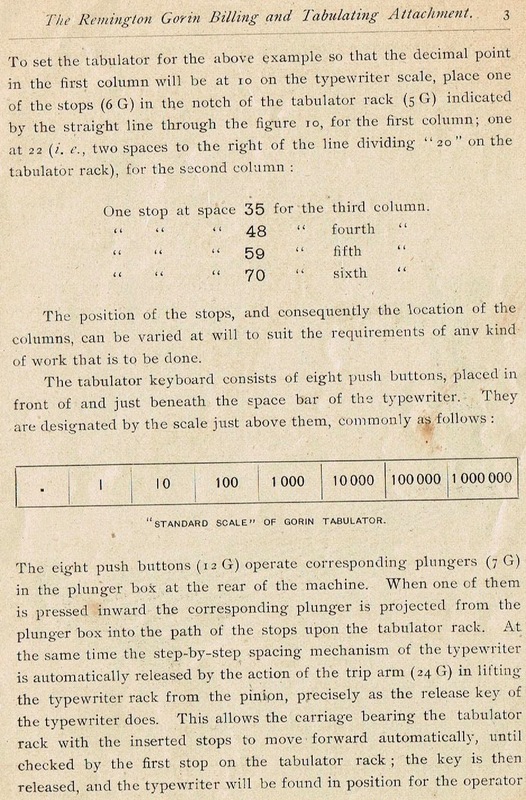 The number of columns was limited only by the number of engaging stops. 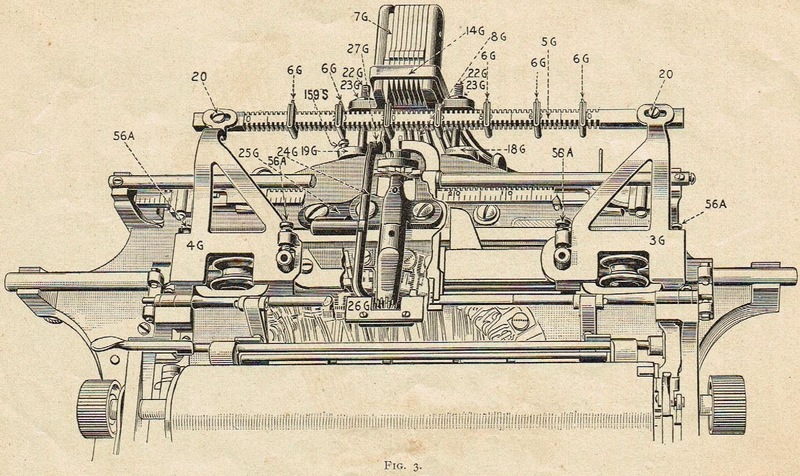 For reasons unknown, this patent was not used by any of the typewriters manufactured at that time. 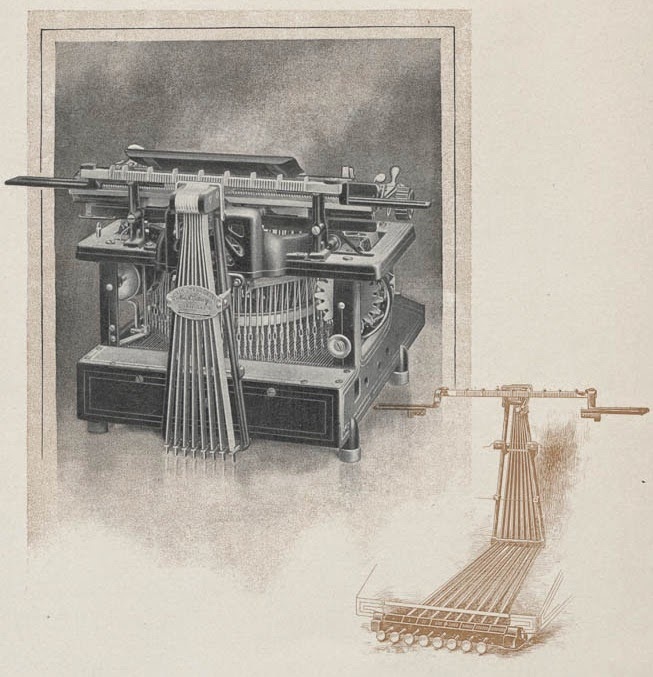 Its value, however, was immediately appreciated by those responsible for the development of the Underwood, who secured control of the Gathright patents and embodied them in the construction of the earliest Underwood machines. 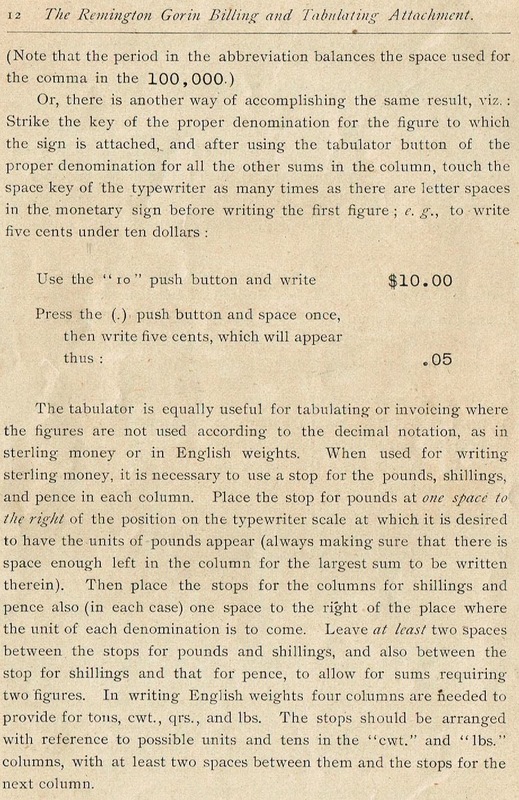 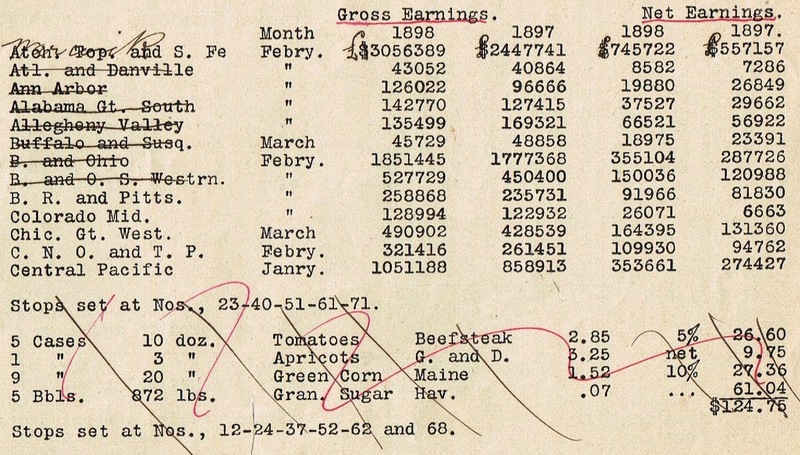 This invention increased the value of the typewriter inestimably as it was the initial step to the many uses in which the typewriter has been employed in the various forms of billing, bookkeeping, statement work, etc. 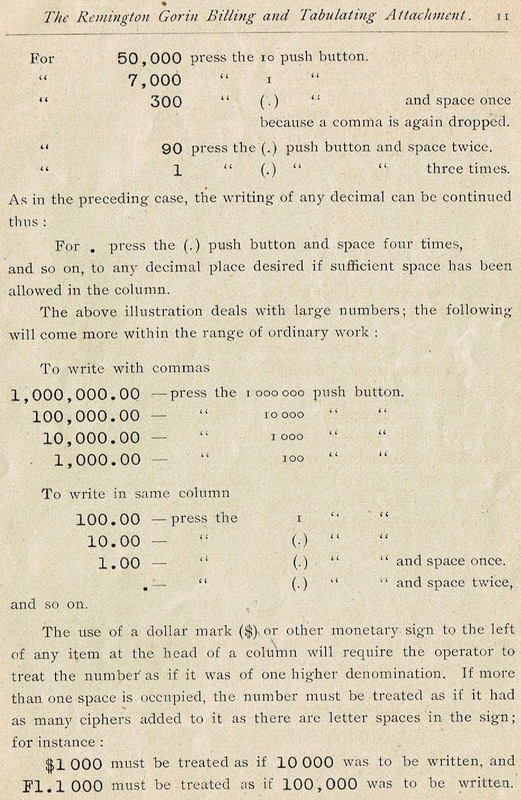 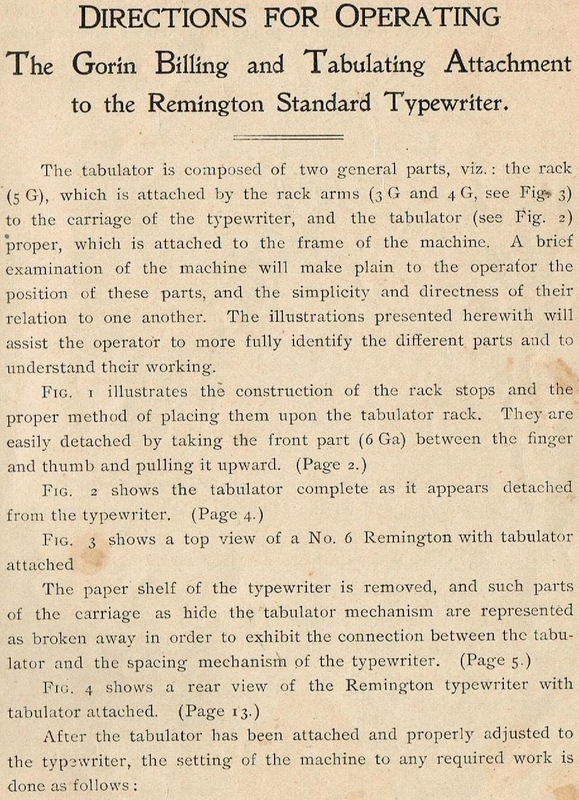 GORIN — On January 3, 1895, F. P. Gorin, of Chicago, Illinois, filed application for a patent on a tabulating device, which was awarded him May 5, 1896 (No 559449). 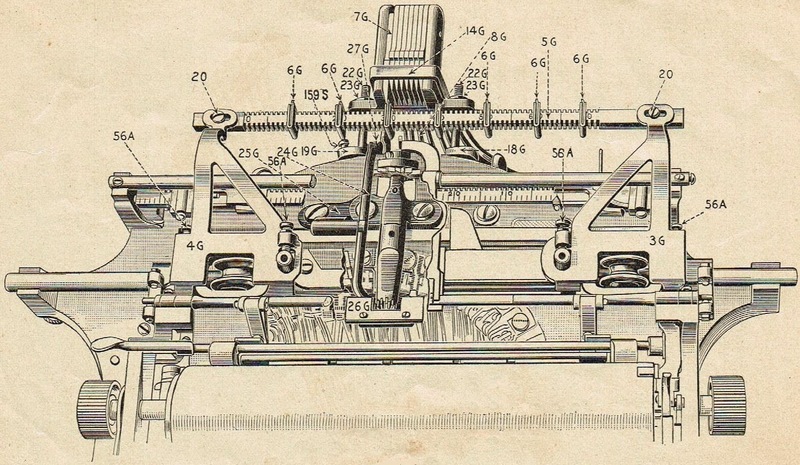 This patent was assigned to the Remington Typewriter Company and the device sold as an attachment to their machine at a price of twenty dollars each above the list price of the machine. 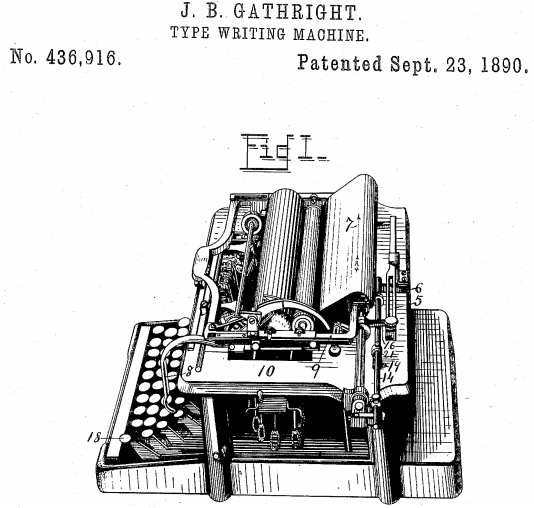 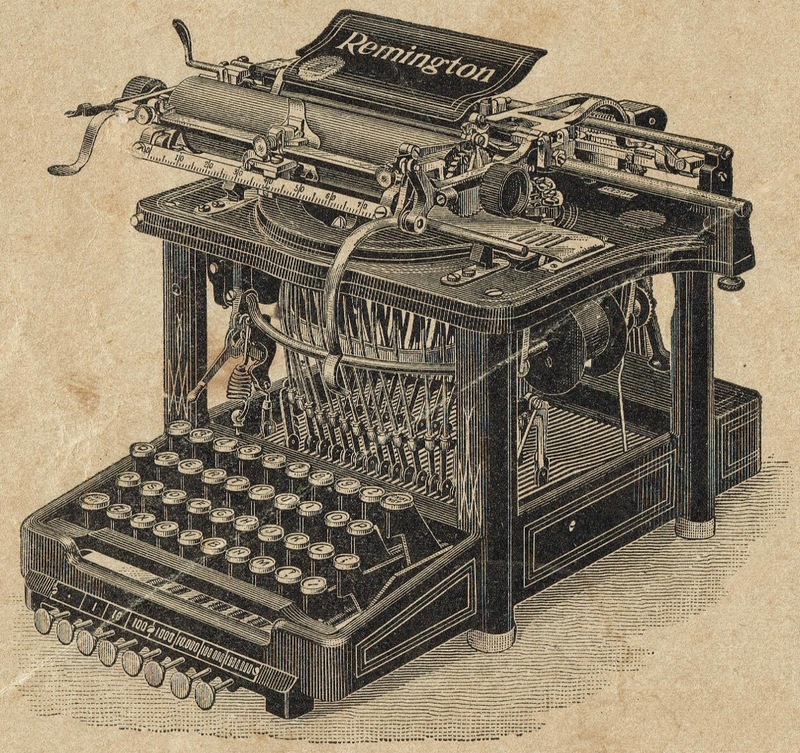 The Underwood typewriter, which was first produced in practical form about the year 1896, entered suit for infringement upon the Gathright patents, and after several years of litigation, established through the courts their claim of priority as sole owners of this device. 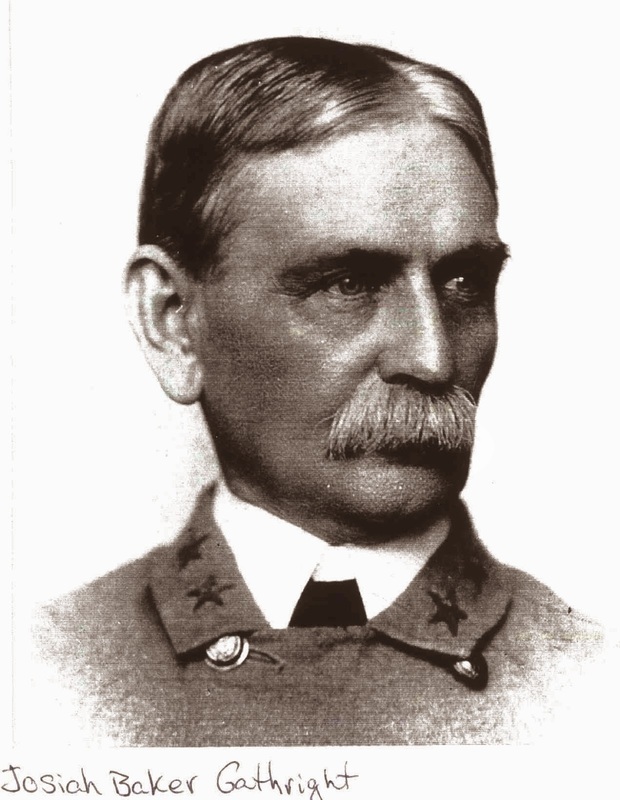 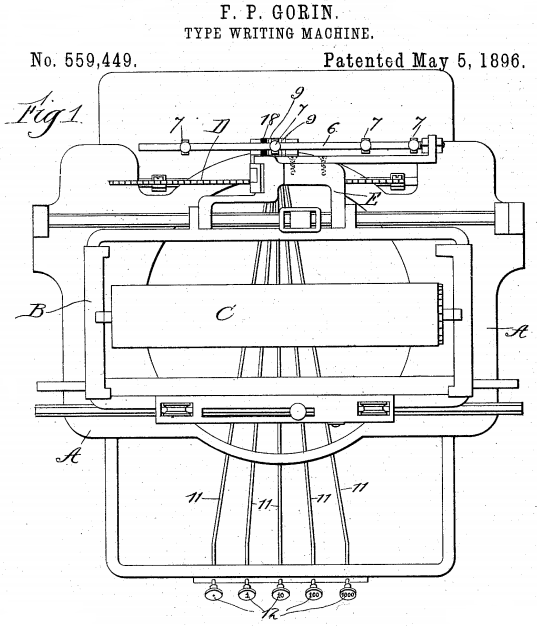 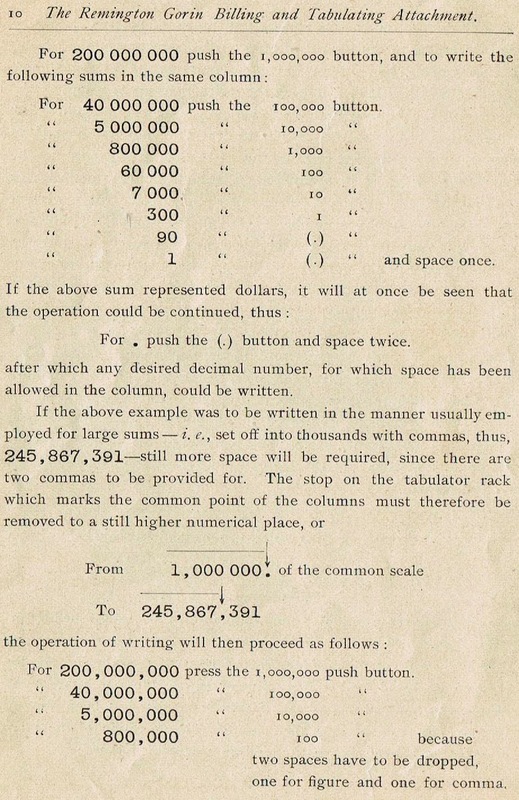 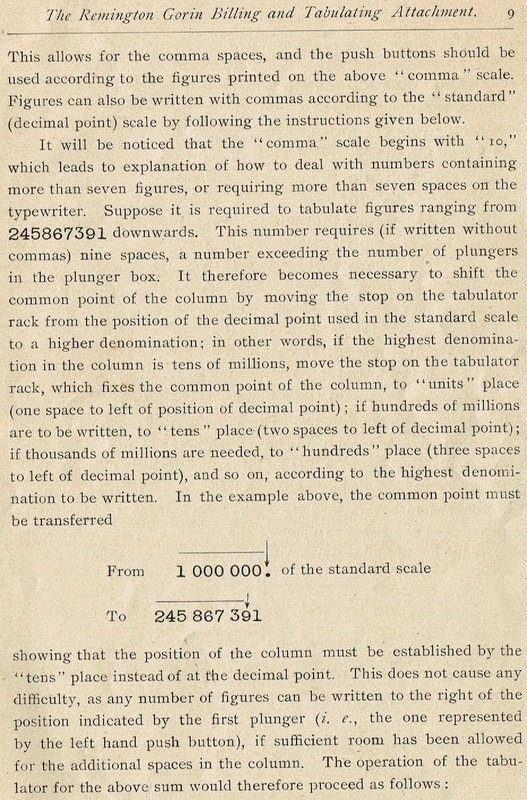 It will therefore be understood that all mechanical spacing devices that permit the carriage to move forward any number of spaces in excess of the single regular scale space, used by all machines, whether they be called tabulators, column selectors, self-starters, or any other name, embody the principle contained in the Gathright patents, which belonged to, and was a part of, the first Underwood.